Virgin Galactic’s newest space plane has taken to the skies again. 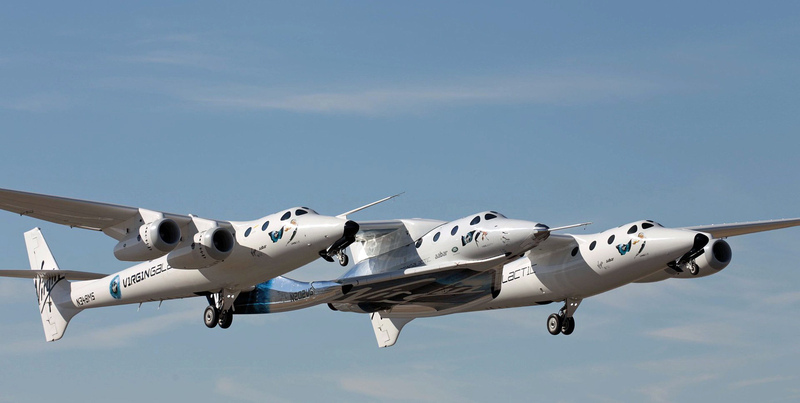 The suborbital SpaceShipTwo vehicle, known as VSS Unity, completed its second-ever powered test flight today (May 29), soaring high over California’s Mojave Desert. SpaceX intends to “thread the needle” with a unique hybrid Falcon 9 launch of his company’s SES-12 communications satellite on June 4th. SpaceX’s success owes a lot to the tenacity of the company’s billionaire founder, Elon Musk, but some of the credit has to go to the guy who designed the engines that make the rockets go. That would be Tom Mueller, who was one of SpaceX’s first employees back in 2002 and now serves as its propulsion chief technology officer. Amazon billionaire Jeff Bezos says his Blue Origin space venture will work with NASA as well as the European Space Agency to create a settlement on the moon. And even if Blue Origin can’t strike public-private partnerships, Bezos will do what needs to be done to make it so, he said here at the International Space Development Conference on Friday night. Bezos laid out his vision for lunar settlement during a fireside chat with yours truly, which took place just after he received the National Space Society’s Gerard K. O’Neill Memorial Award. 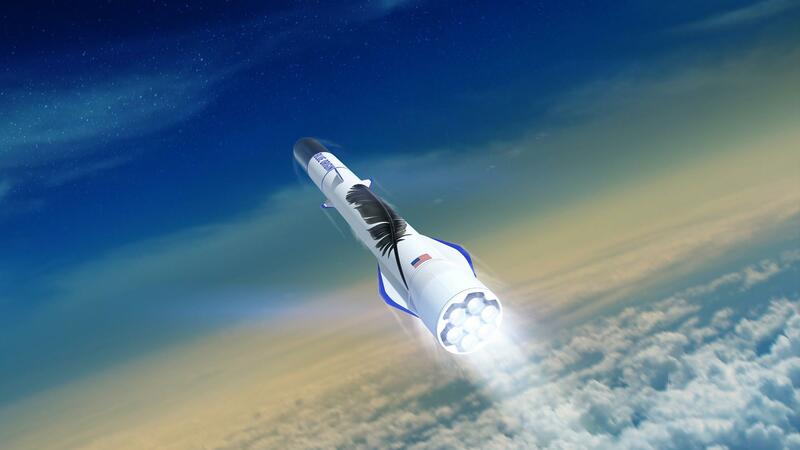 In the short run, Blue Origin’s objective is to reduce the cost of access to space — initially with its New Shepard suborbital spaceship, and then with its orbital-class New Glenn rocket in the 2020s. Sir Richard Branson says he is in training to be an astronaut and his first trip to space could be in “months not years”. Branson said that he was close to achieving his long-held ambition of space travel. “We’re talking about months away, not years away – so it’s close. There are exciting times ahead.” The 67-year old said he was in a serious training regime to prepare his body for the experience. “I’m going for astronaut training; I’m going for fitness training, centrifuge and other training, so that my body will hopefully cope well when I go to space. If you’re going to really enjoy the experience, the fitter you can be the better. Instead of doing one set of tennis every morning and every evening, I’m doing two sets. I’m going kiting and biking – doing whatever it takes to make me as fit as possible.” — City A.M. When history’s pilgrims and pioneers arrived in a new territory, they used the land’s natural resources to build their settlements. Space colonists, on the other hand, will have to bring materials from Earth and assemble them on Mars. Andrew Rush, president and CEO of space-based manufacturing firm Made In Space, believes the process of creating off-world infrastructure will be similar to building IKEA furniture. Only the parts will be made with an advanced 3-D printer and put together by an autonomous robot. The Trump administration’s push to ease regulations on private industry is no longer confined to Earth. “The president is committed to ensuring that the federal government gets out of the way and unleashes private enterprise to support the economic success of the United States,” White House officials wrote in an SPD-2 fact sheet that was released yesterday. In the 1960s, a rocket launch was big news all over the world. Sixty years later, it’s still a big deal. Sure, SpaceX has leaped forward with reusable vehicles, but the ability to make space travel a reliable, everyday event is still a way off. One of the earliest goals of SpaceX and its billionaire owner, Elon Musk, was to make rockets not just reusable but to relaunch them quickly, on consecutive days. Other companies, such as Arizona-based Vector Launch Inc., also see reusable rocketry and frequent, low-cost launches as the key to successfully commercializing space. The FAA has launched two rulemakings that the agency said are designed to pave the way for development of civil supersonic aircraft. 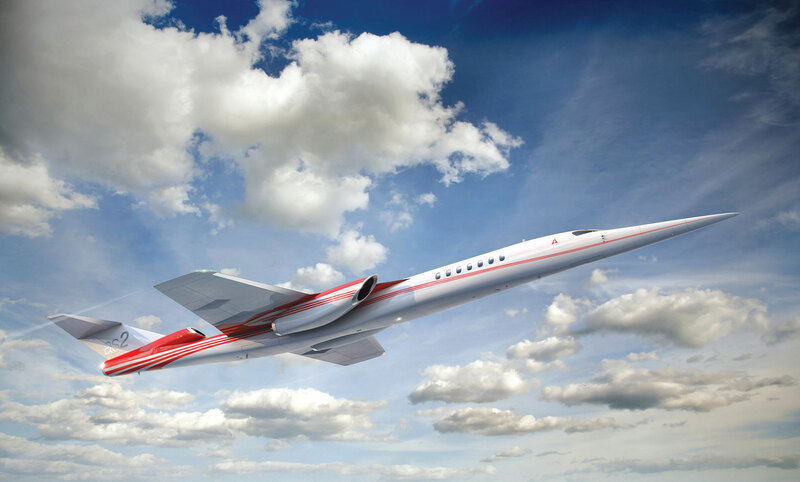 The first involves proposed noise certification for supersonic aircraft and the second is a clarification of procedures required to obtain special flight authorization to conduct supersonic flight-testing in the U.S. Neither rulemaking will rescind the current prohibition of supersonic flight over land without special FAA authorization, the agency added. Amazon CEO Jeff Bezos is very much in the space race. Development of the company’s New Glenn rocket and associated infrastructure seem to be moving along nicely. Bezos said Blue Origin had already purchased a landing ship for the first stage of the rocket (think drone ships that SpaceX uses to land the Falcon 9 first stages) and that work to refit the recovery ship would start soon. An Antares rocket launched from Virginia before sunrise this morning and is on its way to the International Space Station. Its 7,400 pounds of cargo include an experiment that will chill atoms to just about absolute zero—colder than the vacuum of space itself. The Cold Atom Laboratory (CAL) is set to create Bose-Einstein condensates on board the ISS. But what’s a Bose-Einstein condensate? And why make it in space? A SpaceX Falcon 9 still sporting soot from its last mission successfully launched May 22 with five Iridium Next satellites and two science satellites for NASA and the German Research Center for Geosciences. The rocket, reusing a first stage booster that successfully launched Northrop Grumman’s failed Zuma mission in January, took off from Vandenberg Air Force Base, California. The twin Gravity Recovery and Climate Experiment Follow On (GRACE-FO) satellites separated from the rocket’s upper stage approximately 11 minutes later. Iridium’s five spacecraft separated one by one around 65 minutes into the mission. SpaceX did not attempt to recover the Falcon 9’s first stage. The rocket was a Block 4 version, designed for two to three reflights of the same first stage. 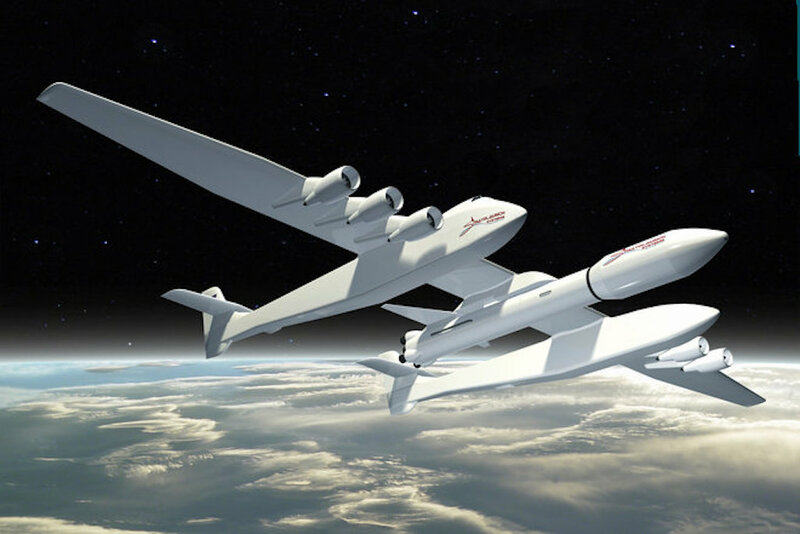 Stratolaunch is eyeing a host of small satellite developers to hitch a ride into orbit on the world’s largest airplane, which it is designing to launch satellites into orbit via a rocket tucked under the wings. The company plans to flight test the all-composite aircraft, which will rely on six Boeing 747 engines for the first time later this year, according to Floyd. 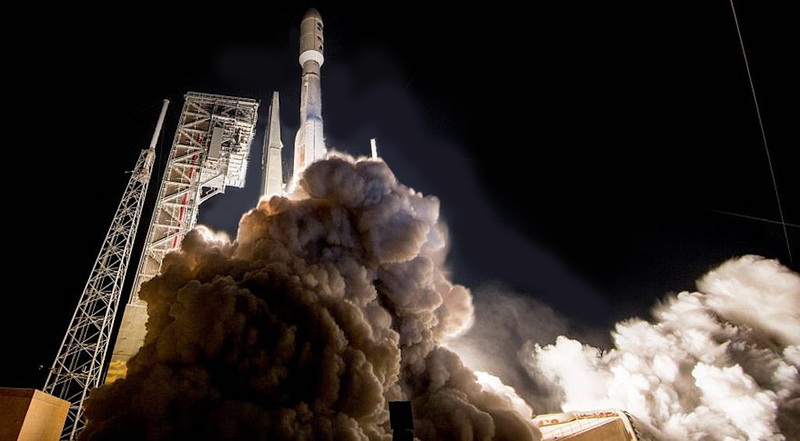 When aerospace engineers launch a satellite, they don’t expect it to last forever. So when the NASA orbiter known as IMAGE disappeared from view after five years in orbit, few were alarmed. What did stun the field came last January, when an amateur satellite watcher spotted IMAGE in the skies again after a dozen years — and realized that it was still trying to talk to Earth. “I’ve been in this field since the late 1980s, and it almost never happens that a lost spacecraft is found again, especially after so long,” said J.E. Hayes. “IMAGE is this zombie that came back to life.” Now space scientists across the United States are working on the long-lost spacecraft again, trying to help NASA keep steady contact and assert control. Among them is a team at the Johns Hopkins University Applied Physics Laboratory in Laurel. Sometime after August 2008, the US Department of Defense contracted dozens of researchers to look into some very, very out-there aerospace technologies, including never-before-seen methods of propulsion, lift, and stealth. Two researchers came back with a 34-page report for the propulsion category, titled “Warp Drive, Dark Energy, and the Manipulation of Extra Dimensions.” The document is dated April 2, 2010, though it was only recently released by the Defense Intelligence Agency. The authors suggest we may not be too far away from cracking the mysteries of higher, unseen dimensions and negative or “dark energy,” a repulsive force that physicists believe is pushing the universe apart at ever-faster speeds. However, Sean Carroll, a theoretical physicist at Caltech who studies and follows the topics covered by the report, had a lot of cold water to pour on the report’s optimism.